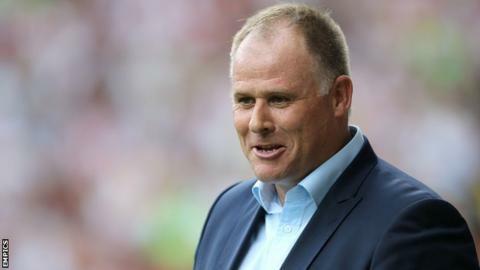 Manager Neil McDonald says there was "relief and joy" as Blackpool ended a 17-month wait for an away win at Scunthorpe United on Saturday. Brad Potts scored the only goal in the Seasiders' 1-0 victory, their first away success since April 2014. Blackpool, who suffered relegation from the Championship last season, now sit 22nd in League One after six games. "The atmosphere in the changing room was one of relief and obviously joy," McDonald told BBC Radio Lancashire. "The players haven't experienced winning a game, certainly away from home, and it's a good feeling. "I've been here for five league games and we've won one away, lost one and drawn one so there's a good start for the new team. "It is a new team - it's not the team that got into the Premier League, it's not the team that got relegated, and it's certainly not the team that got relegated last season."